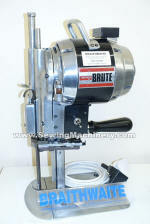 Eastman Brute 627 industrial straight Knife cloth cutting machine. 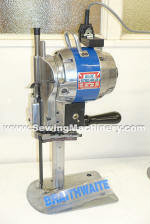 Features heavy duty black motor, central oiling device and easy push button automatic blade sharpening device. 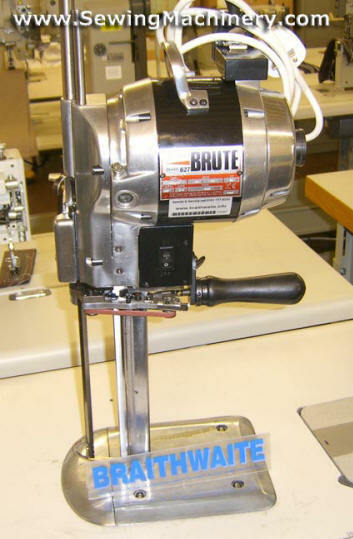 Mechanically similar to the popular Bluestreak II model, expect the Brute is fitted with a more powerful 1HP motor assembly for use with heavy & tough materials. 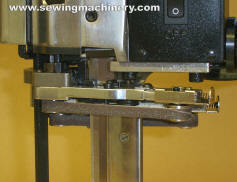 Technician serviced & supplied with 3 months return to base warranty. Eastman Brute class 627 8"
Eastman Brute class 627x 8"